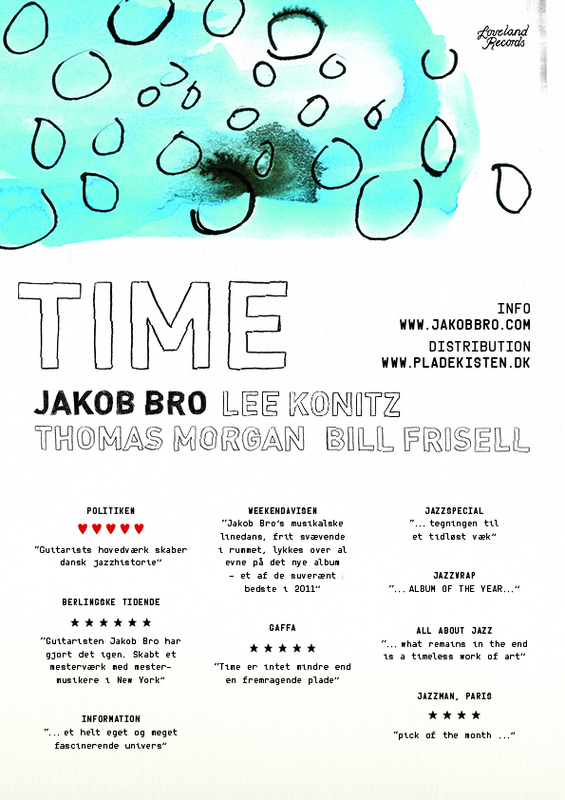 Our Winterjazz program for the WInter Jazz Festival in Copenhagen is ready. We hope to see you there. 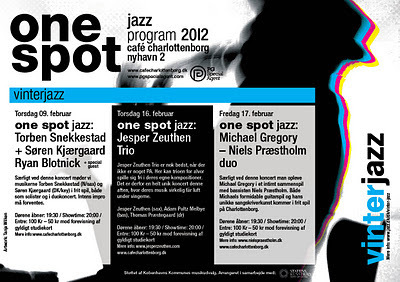 Jesper Zeuthen is one of a kind on the Danish Jazz scene, and with his Trio feat. Adam Melbye (bas) and Thomas Præstegaard (dr) Zeuthen has released 2 impressive albums. "Zeuthen delivers some beautiful notes through what essentially feels like a classical chamber piece. It's dark and emotive but closes out the evening performance nicely and the audience repays the group in kind. " The New Yorker Journal All About Jazz is eagerly excited asking " Has the soul of Albert Ayler transmigrated in to the sound of Jesper Zeuthen? Absolutely." The Zeuthen trio is currently exploding into a quintet with Kasper Tranberg (tr) and Kristian Tangvik (tuba). 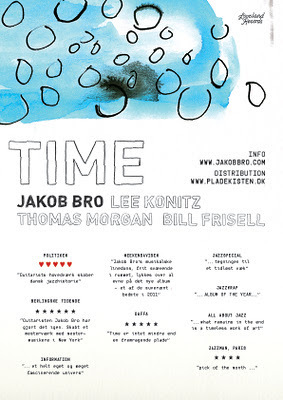 It will be exciting to experience the trio and quintet with 2 liveshows in Copenhagen soon. 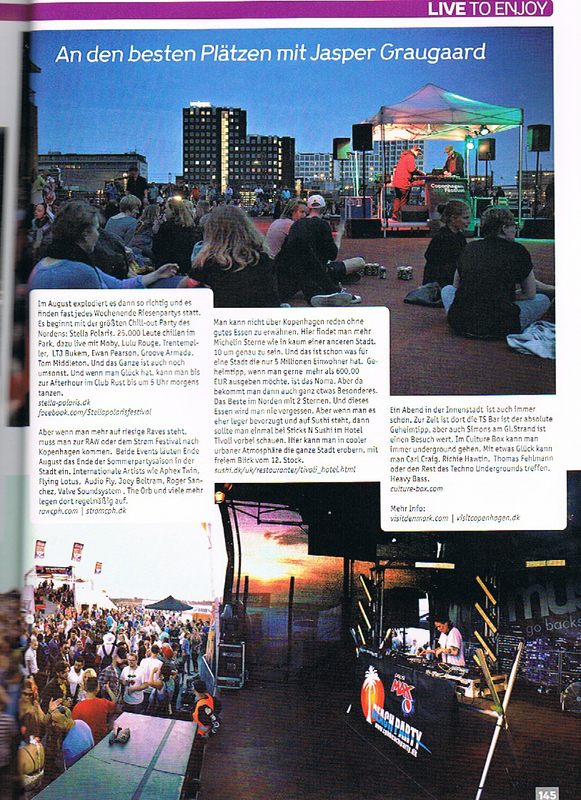 Finally I got a printed copy of the article I did for German DJ Magazine last summer. Its all about what's cool in the summer. From shopping, dining to music festivals, beaches and skating. The article gives you good links and ideas about where to go and what to do when its hot up north in the city that never sleeps during summer. With festivals, clubs and beaches close to the city center , the city can offer the best chilled festival ever; Stella Polaris , the biggest Scandinavian jazz festival Copenhagen Jazz Festival, the biggest beachparty in town; Copenhagen Beach party, the street festival Copenhagen Distortion , raves and electronica festivals such as RAW and Strøm and much more. With suggestions to the best sushi skyline and the blessed Christiania. 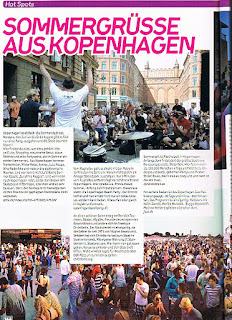 With links and guidelines, all in german bringing you closer to the finest hours here in Copenhagen.. So bring you skates and come to Copenhagen enjoying the best Scandinavian summer ever.